Cowabunga, dude! I love the turtles \(-_-\) I wanted to create a design in honor of them being so rad. The mask can be worn on top of the head & it flips down to wear over your face! 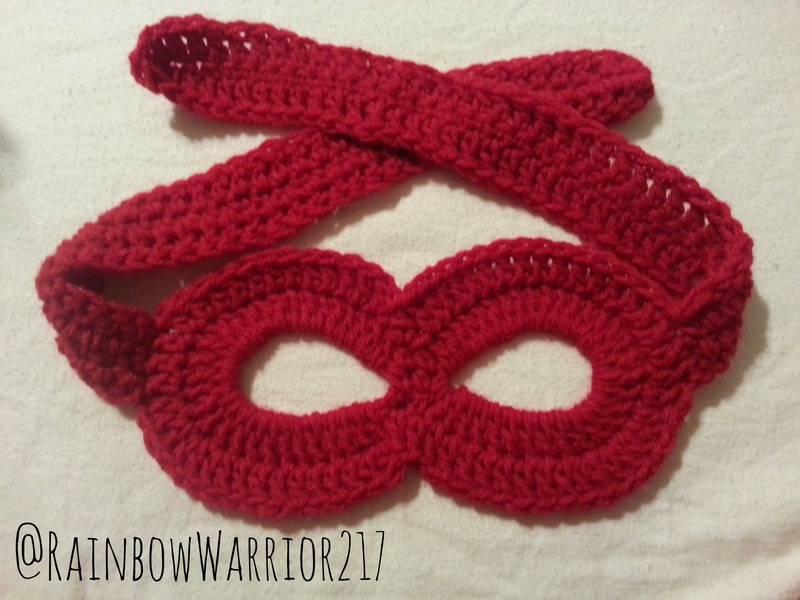 This pattern is combination of by basic crochet beanie and my ninja mask designs. Beg w color A – slip knot & ch 20. Sl st to 3rd ch from beg. This creates your first eyehole. hdc in next 2 st. This is your nose bridge. Ch 17 & sl st to the other side of the last ch. This creates your second eyehole. hdc in the next 2 st.
Approx. 30 dc in ch loop. hdc in next 2 st.
Approx. 30 dc in ch loop. sl st to join. dc in ea dc st & hdc in ea hdc all the way around the mask. sl st to join. 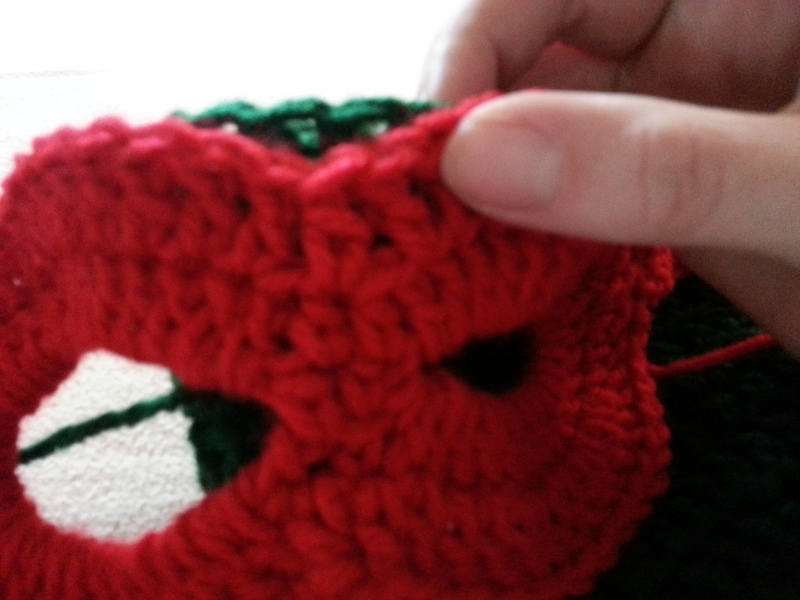 Find center on each side of mask & attach yarn. ch 1 to secure. sc in 2nd ch from hook and all the way down. sl st to join to mask. sl st in next st. Turn your work & dc in ea st all the way down. 3 dc in the last st & work around to dc in ea st on opp side. sl st to join to mask. Repeat steps on opposite side to make a second strap. Pattern Notes: This pattern can be adjusted to be used with any materials you have. You can use any beanie pattern you prefer for this creation. 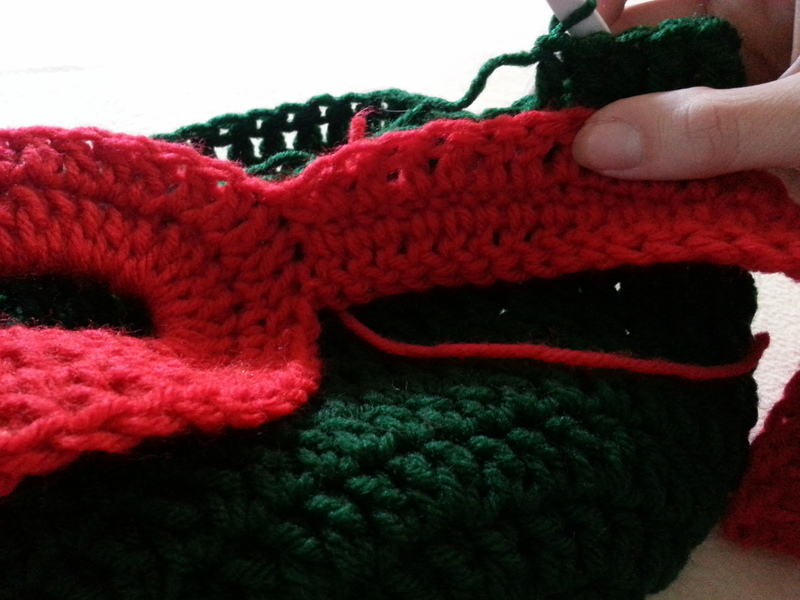 I use my seamless beanie pattern because it is quick & simple. This hat fits standard adult size. I plan to create lots more cartoon character beanies! Who’s your favorite ninja turtle? 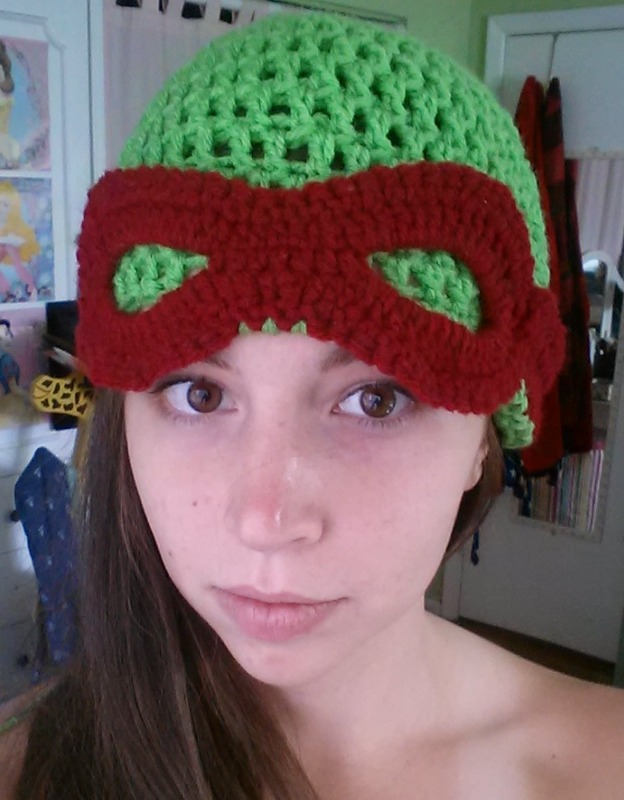 I recently created a ninja turtle beanie for my nephew who is 5 yrs old. I used the exact same pattern for this beanie except for I used a Size G/US 6 (4.0 mm) hook. Video Tutorial for the child’s size pattern can be found below. This tutorial is much slower and in-depth than my first as well so if you are having trouble check it out! If you use these links it won’t cost you any extra but you will be helping to continue my work. Thanks for your support! Any contribution, however small, is greatly appreciated! Thank you so much! Posted in Crochet PatternsTagged crochet, crochet patternBookmark the permalink. This is a great pattern, thank you for sharing! You are very welcome! 🙂 Happy crocheting! Hi! Love this pattern and tutorial! Going to make this for my three year old nephew. Quick question though, I found this written pattern by following the link on the child size tutorial, however; the written pattern says it fits standard adult size. Is there a written version of the child size or are they the same? Thanks so much for any help! Hi! 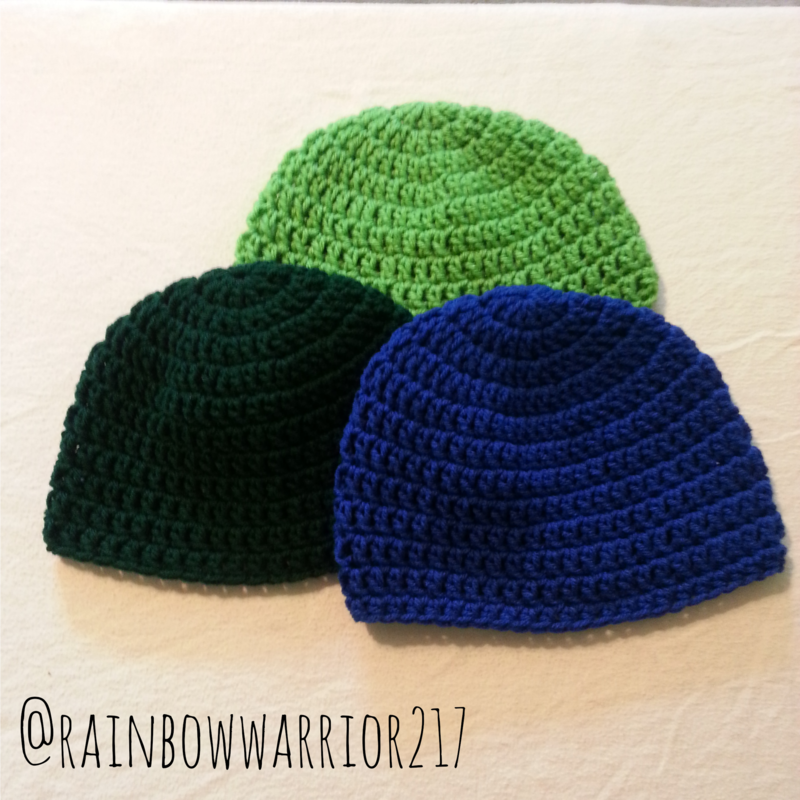 I used the exact same pattern for my child’s size beanie as the adult except for I used a size G/US 6 (4.0mm) hook. I hope this helps & will update my pattern to include the child size info! Thanks & good luck! Great! Thanks so much! I will send you a picture of my finished product! I’m still a beginner so I’m a little bit slow with my stitching, but I enjoy it so much!